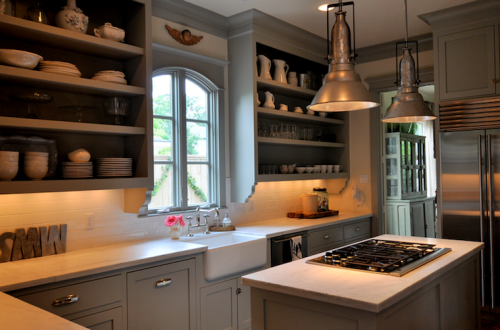 The country kitchen is fantastic if you can utilize the tips on how to decorate kitchen cabinets without doors. 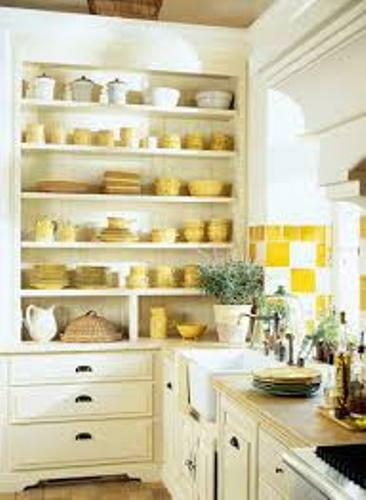 The open shelved cabinet is mostly spotted inside the country, English cottage and French provincial kitchen ideas. You can make the cabinet enticing without having any doors. You can use the rice paper, chicken wire or even wood strip to cover it. Some people decide to use the painted art, canvases and thrift store artwork for the inexpensive design. If you want to cover the naked cabinet using the inexpensive cover, you can utilize the repurposed material. Utilize thin wood strips at the top of the kitchen cabinet. Then you can use the lace fabric to hang on the wooden strip. It can evoke the curtain styled covering on the kitchen cabinet without door. 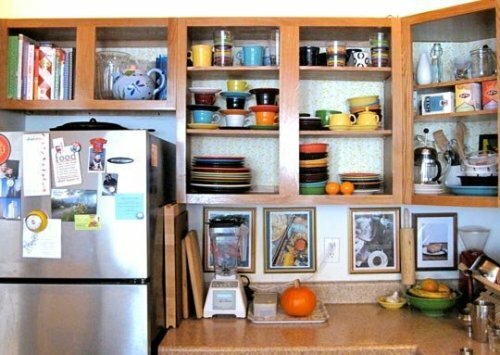 The next thing to decorate the doorless kitchen cabinet is by using the functional art. You can go to the secondhand market or thrift stores to get the inexpensive art pieces. At the side of the kitchen cabinet, you can install small hooks which can hold the artistic piece. You can use a decorative mirror or painting to decorate the cabinet. Make sure that the hinges or hooks are strong enough to hold the art piece. It will be fun if the kitchen cabinet features the impressive framework. Even though it does not have any door, you can make it look unique and stylish by installing the framework on each side. You can create a custom cover for the kitchen cabinet at home. You just need to prepare the rice paper, hardware cloth and chicken wire. Before you place the hardware cloth or window screen using the strong staples, attach the chicken wire on the intended area. The homeowners who want to have the funky, childish and unique creation can pick the kid friendly items. You can use the epoxy plastic interlocking bricks of kids to cover the kitchen cabinet. The kids can play with their plastic brick when they spend the playing time in the kitchen. The last item to decorate the odorless cabinet is the pottery. This item is charming since you can get it in various sizes, shapes, designs and colors. Use the hand painted potteries for the personalized impact. 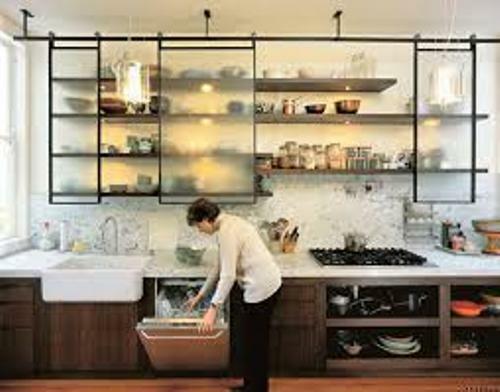 Get other ideas on how to decorate kitchen without drawers here. 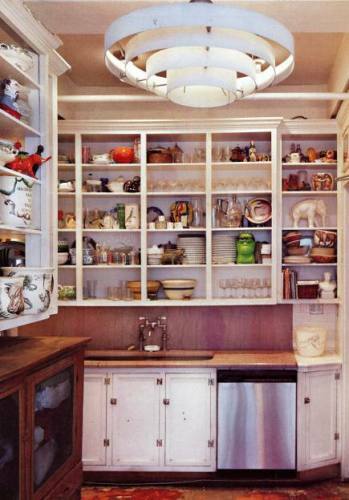 Do you like reading tips on how to decorate kitchen cabinets without doors?